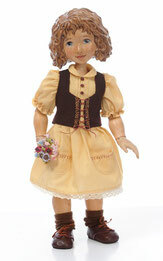 Heidi is dressed in an embroidered yellow cotton dress with lace trim and an embroidered vest with leather ties. Her shoes are brown leather and she has a little bouquet of flowers. Her face is hand painted and her hair is hand stained. The stain for her hair is a colour that is mixed in shop to get the exact shade of brown we were looking for. Heidi is the first little girl doll with carved hair that Xenis has done. Peter is dressed in a linen shirt, oilcloth suspenders and a wool hat. 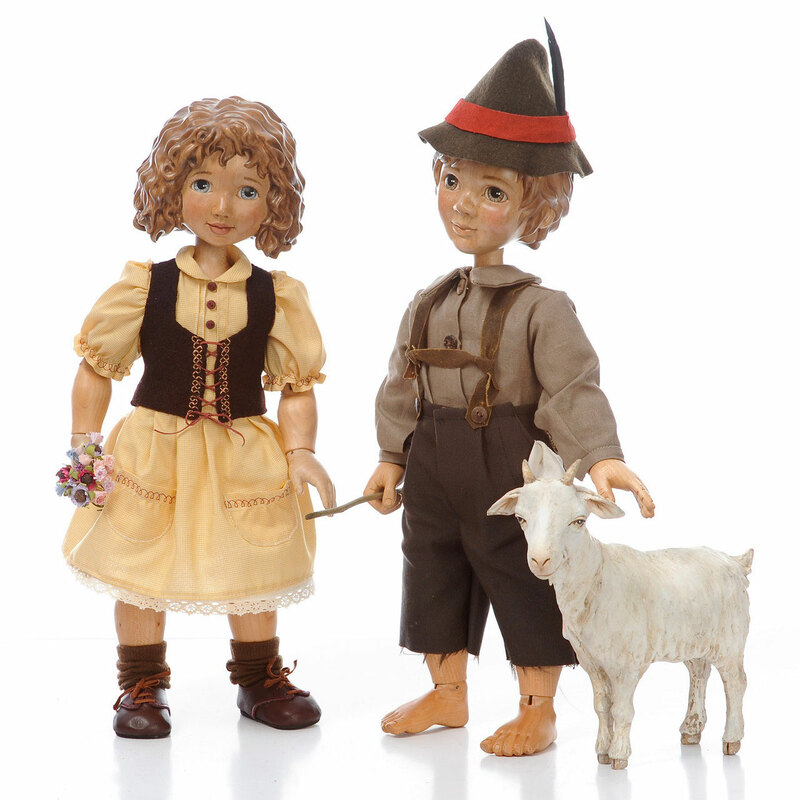 He is holding a wooden stick to herd his goats with. 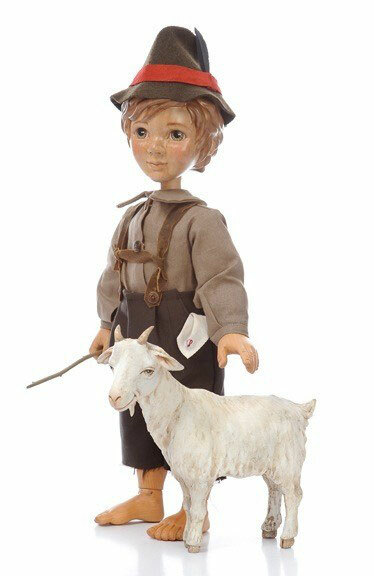 Peter comes with his goat that is carved entirely out of wood and hand painted. We can have Peter and the Goat available in 3 to 4 weeks.